We are now able to offer the Level 3 Award in Education and Training (QCF), the Level 4 Certificate in Education and Training (QCF) and the Level 5 Diploma in Education and Training (QCF). The TQUK Level 3 Award, Level 4 Certificate and Level 5 Diplomas in Education and Training (QCF) have been accredited by Ofqual. The qualification was supported by the Learning and Skills Improvement Service (LSIS) prior to its closure (in July 2013). The TQUK Level 3 Award in Education and Training (QCF) is an introductory, knowledge based teaching qualification which can be undertaken by individuals who are not yet in a teaching role (pre-service), or are currently teaching (in-service). NICVA are offering this award as part of our new training calendar April-September 2014 and are accepting bookings now. The dates are 21 and 28 May, 4 and 18 June and an additional session after that to prepare evidence for assessment. The level 4 qualification will then follow. The TQUK Level 4 and Level 5 qualifications are for individuals currently teaching. TQUK Education and Training Programmes from NICVA on Vimeo. Lisa Morris, Quality Assurance Manager at TQUK said "TQUK is pleased to be working with NICVA to award their qualifications and assure their quality standards. TQUK have robust quality assurance systems and procedures in place and we look forward to working with NICVA in maintaining the qualification delivery and assessment standards." To read more about the training or to book a place, click here. For further information please contact [email protected]. TQUK is an Awarding Organisation recognised by the Office of Qualifications and Examinations Regulation (Ofqual) and the Welsh Government. 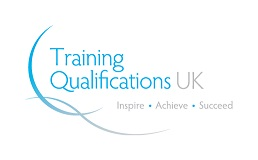 TQUK offers qualifications on the Qualifications and Credit Framework (QCF). Qualifications regulated by Ofqual are listed on the Register of Regulated Qualifications: http://register.ofqual.gov.uk. TQUK aim to provide qualifications that meet the needs of industry,that are designed by leading professionals and delivered to centres and learners with integrity and compliance in mind. To accompany the qualification, TQUK provide centres with world class customer service to support in the delivery of the qualifications. Further information on TQUK can be found on their website: www.tquk.org.